Preparing to leave the Los Angeles heat, I packed up my gear, my peanut butter and guidebook and was off to the South Pacific. 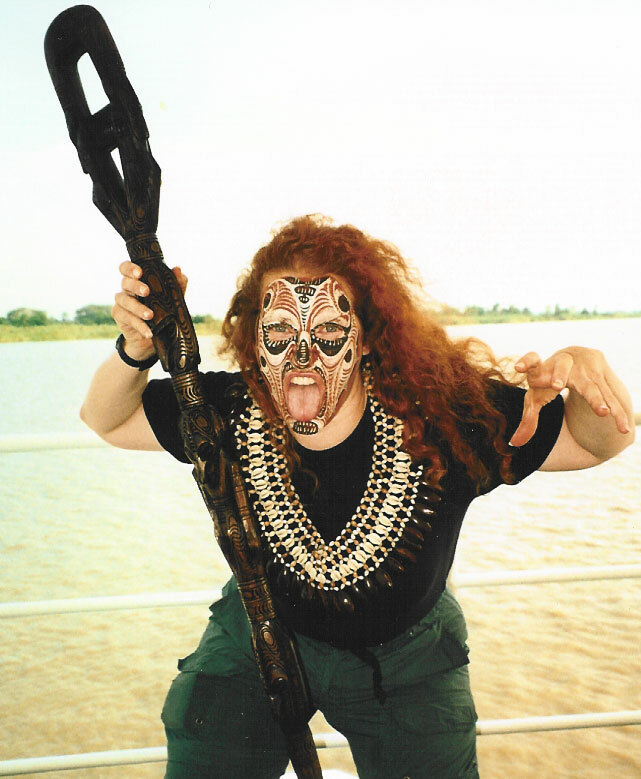 This was a 6 1/2 month trip that included Australia, New Zealand, Papua New Guinea and Fiji. 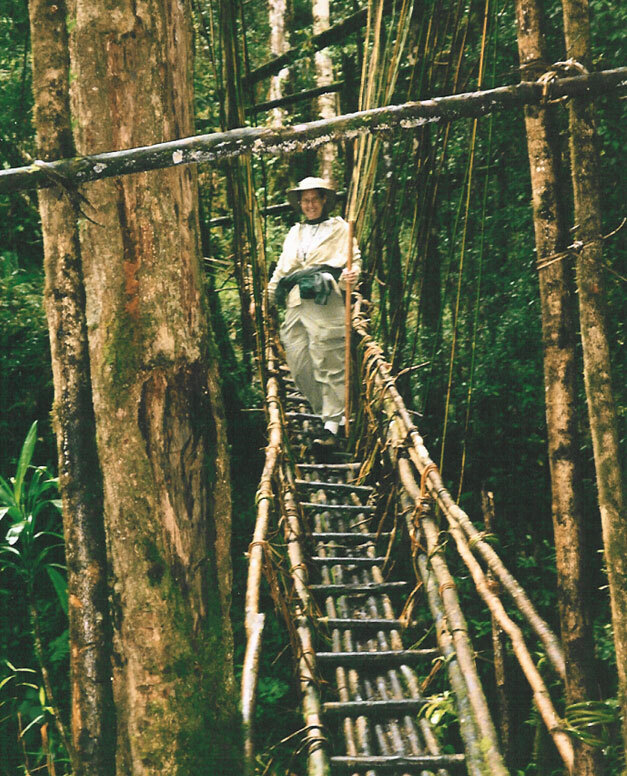 Not just anywhere in Papua New Guinea, but to where so few travelers have ventured to. I was flying to Kar Kar Island. 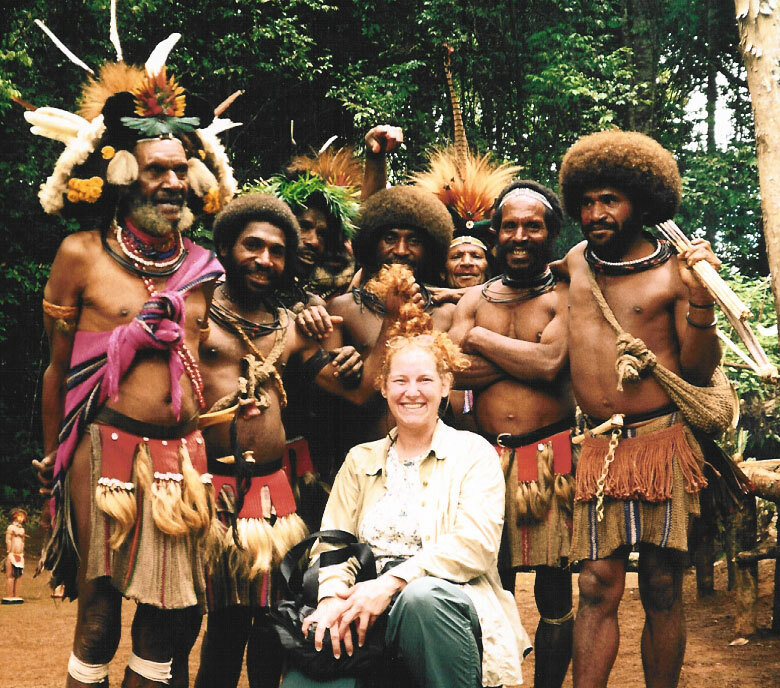 Papua New Guinea still remains as one of my favorite destinations. It was simply a tropical paradise! The people were so friendly and always invited me to participate in whatever they were doing. er it was that I tried, it brought a giggle to villagers and showed my lack of skill at what they had all seemed to master. 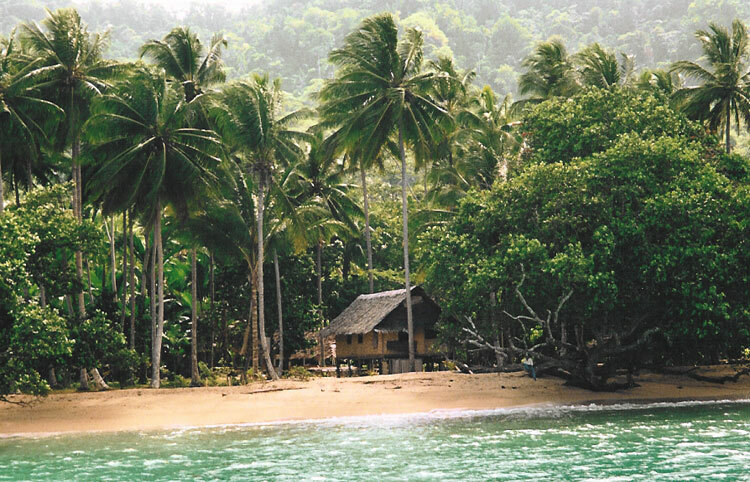 Kar Kar was only a short helicopter ride away from where I landed in Madang. Th e opportunity would never have been possible but my timing, as many times before, was impeccable! I had the honor of meeting Peter Barter and he himself offered to fly me to Kar Kar as he needed to work on fixing a generator or had to get a helicopter part. The flight was amazing as we approached this enchanting island. There was so much anticipation but I could never have anticipated all that I experienced that day. We we re greeted by children ready to sing and dance for us. I also visited a local school where I taught a group of non-english speaking children duck, duck goose and red rover. The most fun though was learning their national anthem and singing mine for them. Their faces lit up as they giggled while I tried to hit the high notes. I visited the local hospital’s maternity ward. While I was shocked at the 45 degree angle flat metal be ds, the new moms were thrilled to be nursing their healthy newborns on them. Their big, bright red smiles could have lit up those dark rooms. 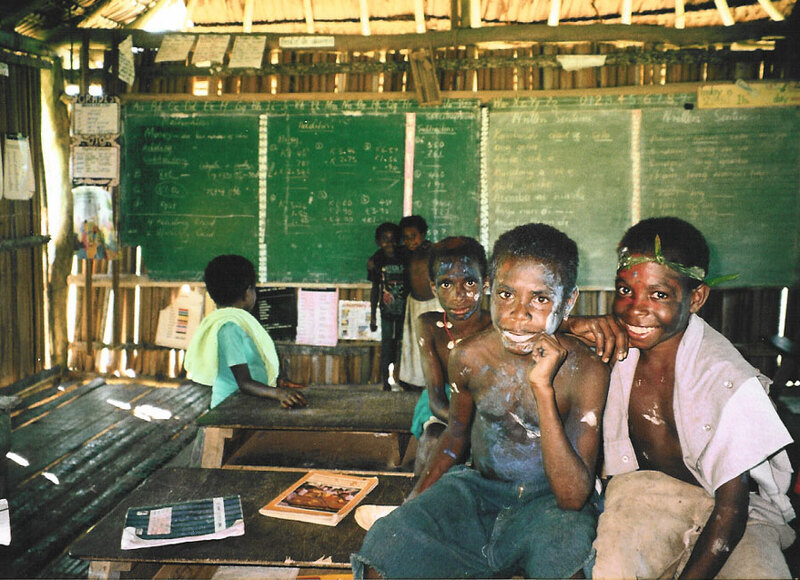 Their red stained lips and mouths were from the local beetlenut that they chew all day long. Singing and laughter filled the air and the kids were so proud to show their schoolwork and classrooms. It was disappointing as I flew away watching those amazed little faces pointing to the sky. The next thing I know is I am being helicoptered on to the top of my ship by Peter Barter himself. 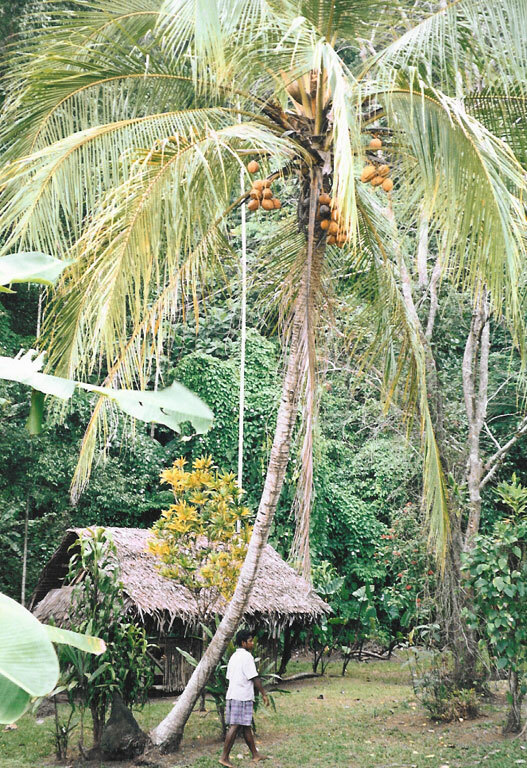 The MTS Discoverer would be my home along the primitive Sepik River. 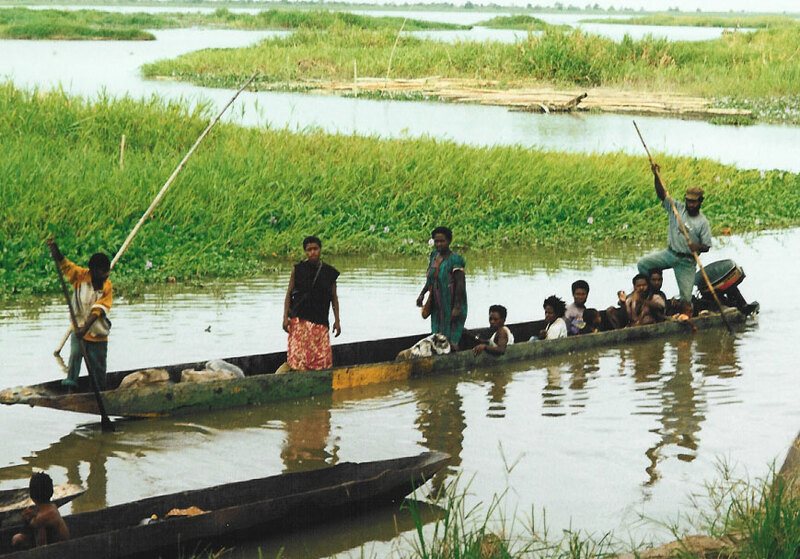 The sepik river was filled with exotic scenery, crafts and the kindest spirits. People that would offer everything just to be polite to their foreign visitors. They really want to share everything they own. They do not know of being selfish. It amazes me how much we truly take for granted. Witnessing Birds of Paradise in flight was another highlight of this amazing trip. I was fortunate enough to see 5 different breeds in flight. Local transport was in dug out canoes and appeared to be a comfortable mode of transportation. On my next visit I will have to try one. The Highlands brought completely different experiences my way. I met up with the Asaro mudmen and was so shocked at how heavy their head masks are. Legend has it that they were running from their enemies and jumped in the river. When they came out they were covered in mud and it scared their enemies off. This became their warrior tradition. The Huli Wigmen in the highlands grow their hair to make incredible ceremonial head dresses and hats. I think they were getting a bit excited as they explored my long auburn curly locks. My intent was too leave with the hair I came with. Locals were proud to show their land, teach about their agriculture and let me walk with them as they strolled along with their pet pigs on leashes. 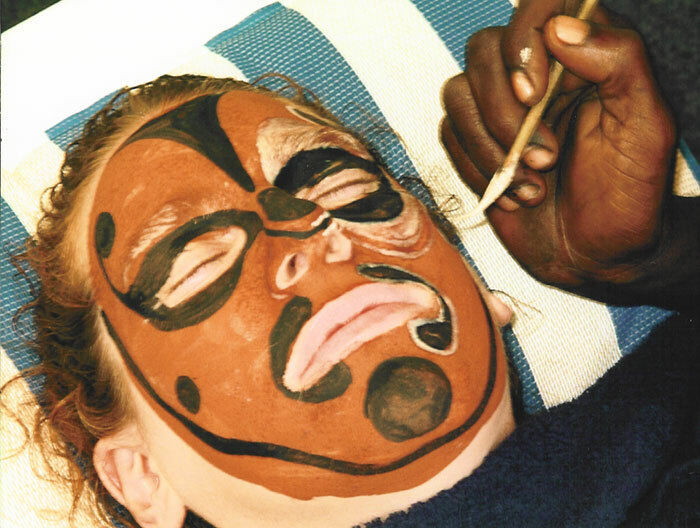 Painted men with sticks in their noses, grass skirts and feathers in their hair would be holding the hands of children in jeans and t-shirts. 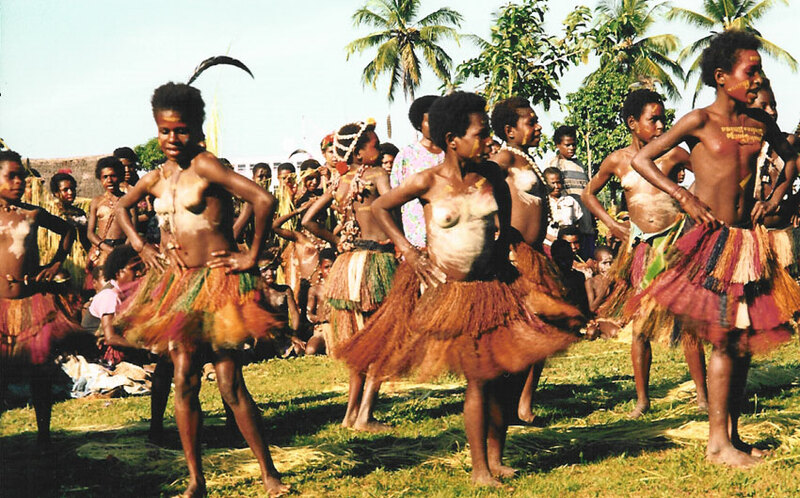 Music and dance plays a huge part in the New Guinea lifestyle. Sing Sing’s are so much fun to participate in. They are so different from region to region. 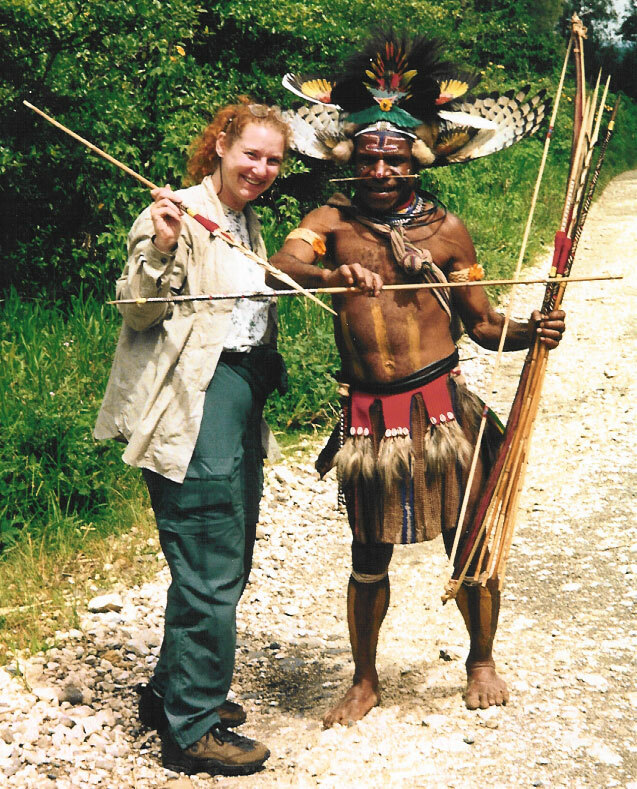 A complete mix of cultures lives in Papua New Guinea. Their traditional stories have been passed on generation to generation by song, dance, stories and story boards. I can quite honestly say that I will return as it is not just beautiful in its enviorns but in its people and culture as well.